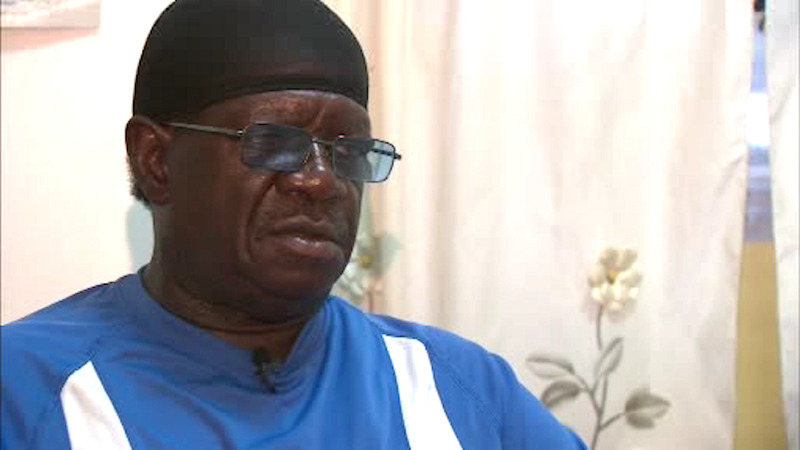 MOUNT HOPE, Bronx (WABC) -- A 70-year-old man in the Bronx is speaking out after surviving a terrifying home invasion. Moses Brown was leaving his home in the Mount Hope section early Monday morning when two men approached him, armed with a gun and a Taser. They forced him back inside and then tied him up in his bedroom. The suspects stole a safe with $21,000 in it and took off. Brown managed to free himself and call police. "I never told them where the safe was at. But what they did was they looked under the bed and they find the safe. They said, 'You sit down, you don't come out for 10 minutes. If you do there's someone there waiting for you," Brown said. Mr. Brown was not hurt. At this point there are no suspects in the case.